Honda Canada Story - Honda Canada Inc.
We’re Honda in Canada. We do more than just build and sell cars here. We’re building a brighter future, supporting the communities in which we live while moving towards a greener world, where mobility is open to all. As Canada turns 102, a fresh new face arrives. Honda Canada is founded starting small with motorcycles and power equipment. We launched the Honda Civic in CANADA, introducing Canadians to the small but powerful, fuel-efficient subcompact – a welcome addition to the market in the midst of an oil crisis. Taking over the roads, the one-millionth Honda vehicle is sold in Canada. 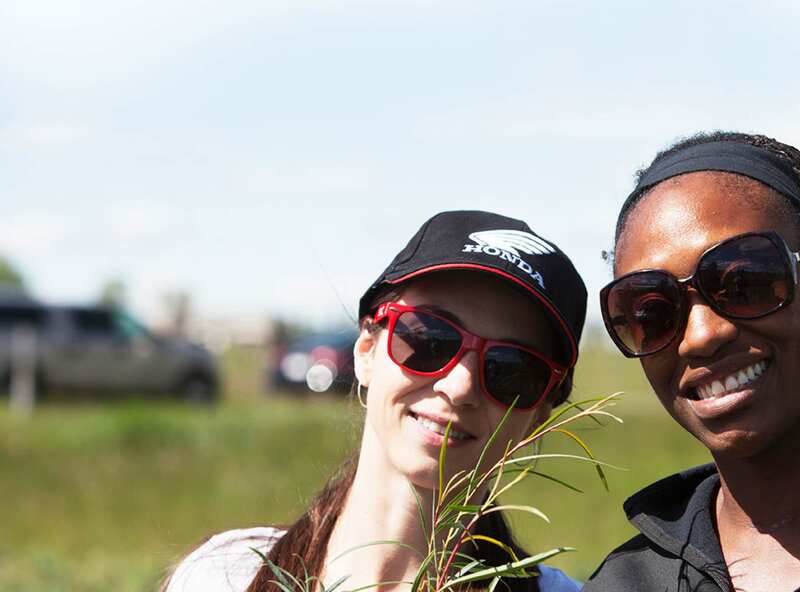 We establish the Honda Canada Foundation to make a positive contribution to Canadians, supporting non-profits focused on family, environment, engineering and education. Honda of Canada Mfg. achieves zero waste-to-landfill in building vehicles, a green milestone. The Honda Civic is again Canada's top selling passenger car, marking its 20th consecutive year with the honour. Join us. Together, we'll get there.